Disclosure Statement: Financial: Bonnie Brinton and Martin Fujiki receive a honorarium from MedBridge for this course. They have no financial interest beyond the production of this course. Non-Financial: Bonnie Brinton and Martin Fujiki have no non-financial interests or relationships with MedBridge. What is involved in social communication? Social communication involves the integration of a range of abilities that are critical to a child’s social relationships and academic success. Many children with disabilities such as language impairment (LI), social communication disorder (SCD) and autism spectrum disorders (ASD) struggle with aspects of social communication. This course will describe the nature and impact of these social communication problems and suggest assessment approaches to identify difficulties that may be targeted in intervention. 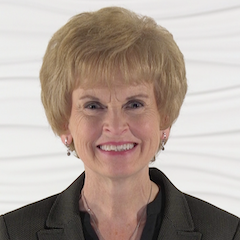 Bonnie Brinton, Ph.D., is a professor in the Department of Communication Disorders at Brigham Young University (BYU), Provo, UT. Dr. Brinton has worked as a practicing speech language pathologist in school, clinic, and hospital settings. She has also worked as a research scientist at the University of Kansas, and an associate professor of speech language pathology at the University of Nevada, Reno. At BYU, Dr. Brinton has served as an associate dean in the McKay School of Education, and as Dean of Graduate Studies. Dr. Brinton has chaired the American Speech-Language-Hearing Association (ASHA) Committee on Language Learning Disorders, and has served on the program committee for the ASHA convention on multiple occasions. She also served as an associate editor for the journal, Language, Speech, and Hearing Services in Schools from 1990 to 2000. Dr. Brinton, jointly with Martin Fujiki, has received the Karl G. Maeser Research and Creative Arts Award from BYU and the Frank R. Kleffner Clinical Career Award from the Utah Speech-Language-Hearing Association. Dr. Brinton is also an ASHA fellow. 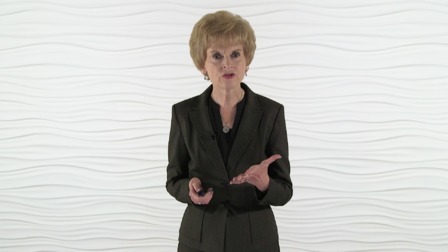 Dr. Brinton has published over 70 journal articles and book chapters and two books. She is a sought-after lecturer, having been an invited speaker in numerous settings nationally and internationally, including Canada, England, China, and Poland. Her work has focused on the social communication skills of individuals with disabilities, with a particular focus on children with language impairment (LI). Her earlier research examined the pragmatic abilities of children with LI. These studies let to investigations focusing on the social outcomes experienced by these children. Dr. Brinton’s research documented that children with LI had fewer friends, were less accepted by peers, and participated in fewer social interactions than children with typical language skills. Her most recent work has focused on developing interventions to address deficits in social communication in children with a range of language disabilities. 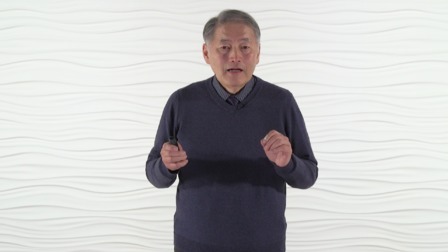 Martin Fujiki, Ph.D., CCC-SLP, is professor and chair of the Department of Communication Disorders at Brigham Young University (BYU), Provo, Utah. He has practiced in the school setting as well as working as a research scientist at the University of Kansas and an associate professor at the University of Nevada, Reno. Dr. Fujiki has served as an associate editor for the Journal of Speech, Language, and Hearing Research, The American Journal of Speech Language Pathology, and Language, Speech, and Hearing Services in the Schools. He has also served on the ad hoc committee for language in context of the American Speech-Language-Hearing Association (ASHA) and on the national advisory board of Pearson Assessment. Dr. Fujiki, jointly with Bonnie Brinton, has received the Karl G. Maeser Research and Creative Arts Award from BYU and the Frank R. Kleffner Clinical Career Award from the Utah Speech-Language-Hearing Association. 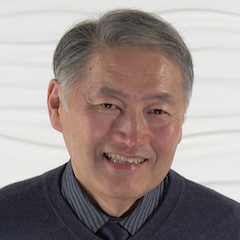 Dr. Fujiki is an ASHA fellow, and in 2015 received Honors of the Association from ASHA. Dr. Fujiki’s work has focused on the interactional skills of children with language impairment. He has authored over 70 publications, most focusing on the social and emotional competence of children with language impairment (LI). Working with Dr. Bonnie Brinton, he has examined the social outcomes experienced by children with LI, documenting that these children have fewer friends, poor peer acceptance, poor self-esteem, and fewer social interactions than typical children. His most recent work has focused on the social cognitive skills of these children, with a particular emphasis on emotional intelligence. Social communication involves the integration of at least three areas of development including language processing, pragmatics, and social and emotional learning. A framework describing the major aspects of social communication helps explain how these areas are integrated in social interactions. Children identified with language impairment (LI), social communication disorder (SCD), and autism spectrum disorder (ASD) often present with a variety of deficits in social communication. It is helpful to understand the differences and overlaps in these diagnostic categories. Difficulties with social communication often sabotage interpersonal relationships, friendship formation, and academic performance. It is important to understand why intervention should include a focus on aspects of social communication. Social communication is a complex phenomenon that can be challenging to assess. It is important to formulate a diagnostic approach to obtain and integrate information about various aspects of social communication.